There may never be a more exciting time to invest in environmental technologies and innovation. In addition to the existing economic incentives for those investing in emerging technologies, global policy shifts are beginning to open the door for entirely new industries playing in the environmental innovation space. 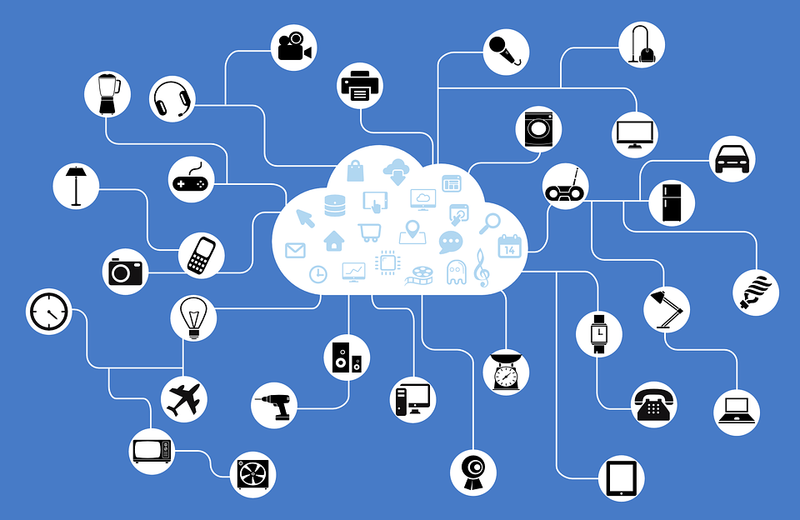 Perhaps one of the most exciting innovation niches is the Internet of Things (IoT). Broadly speaking, IoT is “the interconnection via the Internet of computing devices embedded in everyday objects, enabling them to send and receive data.” IoT technology could range from AI-enabled agricultural machines to unmanned emergency vehicles that can be dispatched quickly for natural disaster response and emergencies. While IoT was originally adopted by the industrial and manufacturing sectors, we are now beginning to see broad applications in the realm of environmental measurement and sustainability. Rather than merely estimating the effects of a certain action, we can quantify that action down to the millisecond on a real-time, continuous basis. This, in turn, allows us to better understand diverse areas of the environment including air pollution, water, renewable energy and much more. But to understand the opportunities in IoT and other spaces, we must first acknowledge the economic and policy shifts that are paving the way for large-scale investment. Today we are seeing unprecedented, large-scale economic and political incentives for investing in environmental innovation. Even a cursory glance at the energy industry provides a great case study in the ways technology, public policy and changing material conditions are creating opportunities for innovation. Depending on who you ask, you may get very different answers on the question of which countries, if any, have reached peak oil. Some sources — such as the EIA, ASPO, CERA, and Fredrik Robelius of the Uppsala Hydrocarbon Depletion Study Group — indicate that some nations have already reached peak oil. Other research estimates place global oil production’s plateau in the middle of the 21st century. Meanwhile BP and other oil producers would have you believe that we are not at risk of running out of oil or gas. According to these corporations, new technologies may unlock global reserves that could almost double by 2050. Incumbent oil and gas players are so heavily entrenched in oil and gas infrastructure that they are resistant to switch over to renewable energy. Feeble past attempts to diversify are at best marketing tactics rather then bet-the-company pivots needed to have controlling stake in future renewable energy sources that will eventually replace oil and gas. However, there are macroeconomics at work that are greater than the self-preservation and short term interests of the oil and gas sector. Ultimately, the switch from coal to natural gas or from oil and gas to renewable energy are more grounded in economics than a desire for environment protection. According to Lazard’s 2017 Levelized Cost of Energy Analysis, there has been a steady decline in the cost of generating electricity from renewable energies, in particular utility-scale solar and wind. The laws of economics necessitates that the market switch to lower cost energy sources. In these cases, the tide may have finally turned. The other factor besides economics is policy. China has set a 2019 deadline for global car manufacturers to meet a new quota of 10 percent from New Energy Vehicles (NEVs) — electric cars and plug-in hybrids. That works out to be about 30,000 vehicles annually. China will require automakers to comply with a cap-and-trade auto emission rule starting from 2019 onward. That level will rise to 12 percent of sales in 2020. This pivot is forcing the global car manufacturers to scale up the production of electric cars and hybrids. Increased competition between auto manufacturers moving into the NEV space will not only drive innovation through investment, it will also unlock a number of high-growth investment opportunities in adjacent products such as lithium-silicon batteries, electric drivetrain and hydrogen fuel cells. Tesla for some time has expected this eventual turn in economic and policy landscape. They foresaw the opportunity for renewable energy micro-production (solar panels on residential homes) and storage. As an electric car company, they are incentivized to build an ecosystem to sell electric vehicles, lithium-ion energy storage batteries and solar photovoltaic (PV) roof systems (through SolarCity). This explains Tesla’s ambitious plan to build battery Gigafactories around the world. The short-term goal is to reach a battery pack production capacity of 50 gigawatt-hours (GWh) in 2018 and then scale production to 150 GWh of battery packs a year — enough to produce some 1.5 million electric vehicles and allocate batteries to build Powerwall and Powerpack energy storage products for the residential market. So how does IoT factor into the global shifts in economics and policy outlined above? One area in which we’ve seen tremendous innovation has been air quality sensor and monitoring technologies. Let’s take a look at the problem, and how technologists have approached solving the issue. Air pollution is a significant problem for human beings. It kills 9 million people globally and costs $4.6 trillion per year in welfare losses due to pollution, which is equivalent to 6.2% of global output, according to Lancet Commission on Pollution and Health. People are getting sick and living with years of disability. However, we are seeing a growing category of air quality monitoring devices and sensors emerge. Some of these technologies are relatively simple: using open-source IoT platforms such as NodeMCU with MQTT to monitor indoor and outdoor air quality. Others innovations, such as personal air pollution tracker Flow, are portable monitoring systems a consumer can carry on their backpack or purse. As these air monitoring devices and sensors reach ubiquitous density, they will provide aggregate collective data around what’s happening in a city — eventually allowing for a street-by-street evaluation of air quality. Angad Daryani, who spent his teen years at Massachusetts Institute of Technology Media Lab and currently works out of Georgia Institute of Tech, has developed a technology to filter carcinogenic carbon particles and larger particulate matter from heavily polluted cities. The device would sit atop a 20 foot tower to filter moving city air. He hopes to see his technology deployed in thousands of the dirtiest cities around the world. By his estimation, the product will take 5–6 years to commercialize. Daryani’s system is not simply mechanical. In a broader context of what Klaus Schwab is calling the fourth industrial revolution, his product layers cyber or intelligence on top of physical hardware that will not only remove particles, but also provide an incredible amount of data around the quality of air and stream that information to various organizations. On a smart city scale, GSMA, the association of mobile network operators worldwide, is working with the Royal Borough of Greenwich in London to improve air quality through the use of mobile, IoT and data analytics. They used an electric vehicle called the Smogmobile, which is essentially a high calibre air quality lab on wheels to sample air quality in Greenwich. Hundreds of IoT air quality sensors placed through the city provide a steady stream of data that can start to feed predictive data analytics. Such technology allows us to predict whether tomorrow’s air quality will be better or worse than the previous day. With this knowledge, cities can begin to determine whether they should announce policies such as “no burning wood or coal” on certain days. As early as 2014, Chicago deployed a citywide network of sensors mounted on lamp posts. The sensors were developed by Argonne National Laboratory and the Chicago Dept of Innovation and Technology to measure the number of air pollutants such as monoxide, nitrogen dioxide, ozone and particle matter — and eventually even volatile organic compounds (VOCs). The data helps predict air quality incidents in order to take preventive action and inform the public via the city’s open data portal. Barcelona implemented something similar with its Barcelona Lighting Masterplan, using a smart lighting system with embedded air quality sensors that send data to city agencies to share with the public. More than 65 cities around the world, including Boston, LA, and Miami have installed Soofa benches. These are benches with a solar panel that channels electricity via USB ports to charge devices. They provide sustainable source of energy and also have sensors that track air quality, temperature, traffic and radiation. The challenge is that sensor nodes can cost a few thousand to a couple of hundreds of dollars depending on the quality or precision of measurement. The problem with low-cost air quality sensors is that they: a) are not able to pick up finer particles, and b) their readings can be influenced by meteorological conditions. However, innovations that drive down the cost of these sensors are part of the huge economic incentive for entrepreneurs, investors and technologists. The revolution ushered forth by The Internet of Things is still only in its infancy. Not only will businesses who invest wisely see tremendous growth and efficiencies for their own enterprises, but we will also unlock an entire realm of possibilities for both understanding and protecting our environment. The fusion and orchestration of these multi-discipline technologies enable the overall system to be resilient, adaptable, contextually aware and cognitive. As we increase our sophistication of data collection and integration, data cleansing, data transformation and data analyses, we can begin to visualize the data into concrete cause and effect that informs local citizens, corporations and governments of their role in sustainability. The technologies we now loosely call “IoT” will help businesses do everything from curtail their CO2 emissions to preventing hazardous leaks and spills that damage our environment. We will also be able to more effectively measure our natural environment, allowing us to more effectively develop solutions that protect our planet. Scott Amyx is the author of Strive: How Doing the Things Most Uncomfortable Leads to Success, which has been endorsed by Tony Robbins, Forbes, Singularity University, Tribeca Film Festival and other influencers. He is a global thought leader and venture capitalist who has appeared on TV, TIME, Forbes, New York Times, TechCrunch, CIO, Washington Post, Wired, Forrester, G20 report, European Commission, Pew Research Center, Environmental Defense Fund and other major media. We are entering a new era of environmental innovation that is driving better alignment between technology and environmental goals — and results. Environmental progress doesn't just happen. It's been propelled by successive waves of innovation, each unleashing powerful new tools: Land conservation. Force of Law. Power of Market-Based Solutions. Today we are seeing the emergence of a Fourth Wave of Environmental Innovation.